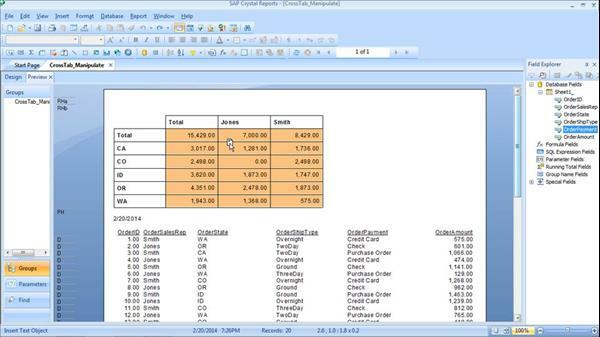 Maximize the power of Crystal Reports 2013. Crystal Reports allows you to quickly import and analyze data from a variety of places, including Excel, Access, groupware applications like Lotus Notes, HTML and XML files, and SAP. Learn how to master its tools and options and build better, faster reports that lead to better business decisions. Author Curt Frye shows you how to define and manage reports, create and delete sections, and summarize and visualize data with charts. Plus, learn how to focus your analysis with selections, subreports, and cross tabs; export report data; and connect to external data sources.